Routine maintenance on Honda cars, Honda trucks, Honda vans, Honda SUVs and Acura vehicles; will keep them in top performance condition for many years to come. We are specialists in automobile repair when it comes to Honda and Acura vehicles, and we enjoy seeing our customers come back time and again for oil changes, tire rotations, topping off fluids, replacement batteries, windshield wipers and the like. At Accurate Automotive, auto repair on Honda and Acura vehicles is our specialty. We are so committed to properly maintaining your Honda and Acura vehicle, that we staff technicians that formerly worked in the service departments of local Honda and Acura franchised dealerships in middle Tennessee. We want your business not just once, but every time, so we always offer excellent service at reasonable prices. Maintenance on your Honda and Acura automobiles is what we do better than anyone in the Nashville area and surrounding areas of Middle TN. 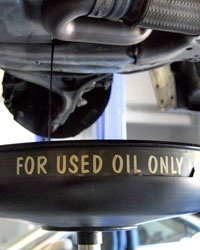 Let Accurate Automotive service your Honda and Acura vehicles.